There are several reasons why you should stay informed of when spring break will be taking place in Texas this year for state universities and public colleges. If you're planning to vacation in Texas, knowing when these schools are out will help you better plan your trip and avoid crowds. On the other hand, if you're a college student in Texas, you'll be able to start planning when you're going to head out for spring break this year, and if you're planning on hanging out with other college students during your own spring break, knowing when Texas school celebrate the season will help you make as many friends as possible. No matter what your reason is, though, if you want to know when spring break 2019 takes place in Texas, we've got the full list below. In 2019, the majority of Texan colleges have Spring Break in mid-March, which is pretty standard for other states in the U.S.
For most Texas colleges and universities, classes will not be in session during the dates listed below, but school offices may still be open. Check the full academic calendar for each school for more information on closures and other school holidays. 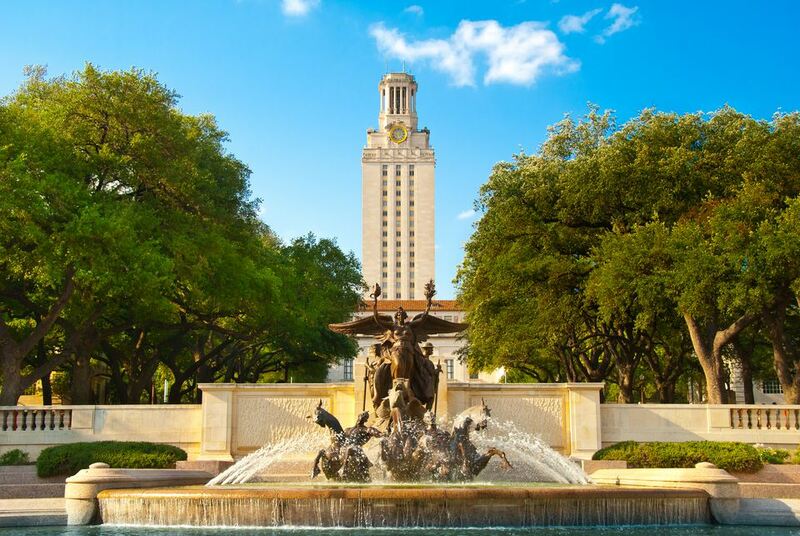 As you can tell, most Texas universities and colleges celebrate their spring break in 2019 from March 11 to 15 (including the weekend of March 16 - 17), so whether you're trying to avoid the crowds at popular tourist destinations in the state or trying to plan your own spring break fun, this is the busiest week of spring in the state. Although you can book some cheap spring break trips out of state, or drop a bit of money on a vacation to these spring break destinations, having a staycation in Texas can be a great way to spend the school holiday. From heading to the beach in Galveston or South Padre Island to spending the day on a lake in Hill Country near Austin, there's plenty to do in Texas for spring break. Texas cities on the Gulf of Mexico like Galveston Island, Corpus Christi, Port Aransas, and South Padre Island offer plentiful beaches and outdoor adventures while San Marcos, New Braunfels, and Austin offer clubs, bars, and urban spring break attractions during the week. Whatever you decide to celebrate time off school, you should always ensure your safety during spring break by properly preparing for your trip. Research dangerous areas before you travel to new cities and pack all your essential spring break gear. Keep in mind when you do that Texas in mid-March is rather warm and perfect for outdoor activities, so you won't really need warm clothing.